The Devils Grin by Annelie Wendeberg. London 1889. A dead man is found floating in the city's waterworks. Fearing an epidemic, the Metropolitan Police call upon bacteriologist Dr Anton Kronberg to examine the body. All signs point toward cholera having killed the man...but for faint marks around wrists and ankles. Evidence for a crime is weak, and the police lose interest in the case. But Kronberg suspects that the dead man's final days had been steeped in cruelty. 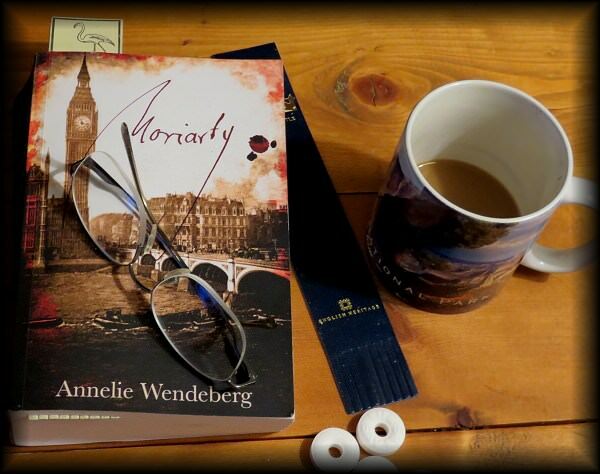 Soon, a second victim is found, and Kronberg gets embroiled in a web of abduction, abuse, and murder. But catching a killer and staying alive would be easier if the doctor didn't have secrets of...her own. The book pictured above is actually a trilogy in one book. I just finished reading the first book of the trilogy, The Devil's Grin. Dr. Anton Kronberg meets Sherlock Holmes. Together they try to solve a mystery. Dr. Anton is someone with secrets, that don't stay secrets very long from Sherlock. I also like that it's in "old England" about the time of Jack the Ripper. The story is fast reading and kept my interest. I think the other two books in this trilogy will be enjoyable too. 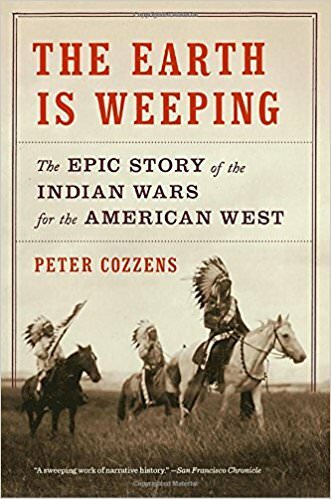 The Earth is Weeping (The Epic Story of the Indian Wars for the American West) by Peter Cozzens. This book is a good source about the Indian Wars... however.. It doesn't surpass, "Bury My Heart at Wounded Knee". If I had to pick one over the other I would take Wounded Knee. I think this book talks a bit more of the white's side of the story compared to the Indians. It's difficult not to take sides the more you read about what was done to the true natives of America.